Empire of Cotton: A Global History, by Sven Beckert, is a great history of capitalism. Then came the Great Recession of 2008. 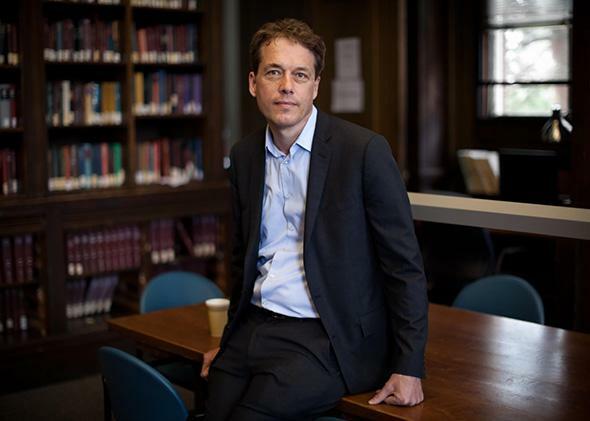 Although some historians had already been piecing together parts of the story, “the history of capitalism” suddenly began to appear on college course lists. But what was that history, exactly? Was it just a rebranding of labor history? Did elites now matter? And if so, how would they be cast—as heroes, villains, something else? The truth is that no one knows what “the history of capitalism” is because its history is just now being written. But if there is any indication of what it might look like, it appears in Sven Beckert’s remarkable and unsettling new book, Empire of Cotton: A Global History. Beckert insists that many of the myths we tell ourselves about capitalism—how it functions best when government gets out of the way, how it broke clean from slavery—are as false today as they were during its 500-year history. In Beckert’s account, not only does slavery play a pivotal role in capitalism’s rise, but so does the state. Governments supplied the guns, built the roads, enacted the tariffs, and regulated the markets that made, and continue to make, capitalism thrive. Beckert, a recently tenured history professor at Harvard, has also decided to bring back the elite. But they’re cast, now, in a far harsher light. Constantly hovering at the margins are the millions of people who they exploited to make their fortunes—to make, in other words, the capitalist world we live in today. Beckert tells this story not through elites, exactly, but through the commodity that was central to their wealth: cotton. Before the 18th century, cotton was a rare commodity for Europeans. Yet in places all across the globe, from Peru and Mesoamerica to Japan, Egypt, and India, cotton grew in abundance. It was not the dominant crop it would become by the end of the 19th century, but each of these regions had vibrant local markets. They grew their own cotton, spun it into yarn, and then hand-wove it into textiles, with individual households doing most of the work themselves. Cotton’s transformation into the world’s most lucrative global commodity began slowly. Beckert marks the initial pivot with the emergence of European empires in the 16th century. Columbus’ initial encounter with the Americas, alongside the burgeoning spice trade in the Far East, set off a centurieslong scramble that resulted in Europe’s vast appropriation of Native American lands and, by the 18th century, the largest forced migration—enslaved Africans—in world history. A merchant class arose to facilitate the trade in slave-grown commodities—a class that was made possible, Beckert is at pains to emphasize, only with the aid of emerging European states. The privately owned joint-stock companies that settled many of the first English colonies, for instance, could only exist with a royal charter. Beckert rebrands the process traditionally called “mercantile-capitalism” as “war capitalism,” his point being that violence was at its center. Without it, there would be no Industrial Revolution, the next and most important part of Beckert’s story. If there is an ancestral home for the Industrial Revolution, it’s Manchester, England, where the first factories were built. Cotton propelled the factory’s emergence, created after British inventors found a way to spin slave-grown cotton into yarn more swiftly. The man who invented the mechanized cotton mill at the center of these new factories was Samuel Greg, the prototypical genius-inventor of capitalist lore. By tying Greg’s success to slave-grown cotton and the ghastly conditions of factory workers, Beckert recasts him in a garish new light. Women and children comprised the vast majority of these first factory workers, all of them expected to work 14-hour days and huddled into barracks at night. If we celebrate Greg as a genius, Beckert implies, we must also accept that he was utterly dependent on the most coercive labor systems imaginable. By the early 19th century, Britain, and soon all of Europe, had robust cotton manufacturing industries. But they relied on imported cotton—and no source for those imports was more important than the United States. On the eve of the Civil War, the U.S. supplied Great Britain with 77 percent of its raw cotton, 90 percent of France’s, and 92 percent of Russia’s. At the same time, cotton-manufacturing industries emerged in northern U.S. cities, propelling the U.S.’s own Industrial Revolution. In fact, Beckert writes, the United States was unique among all other industrializing nations in that it both grew and manufactured its own cotton. The trick, of course, was that all these new cotton-manufacturing nations depended on slave-grown cotton. Like other new scholars of capitalism, Beckert drives home the point that slavery was not a hidebound institution that capitalism destroyed, but an integral one that made capitalism possible. Why, then, did northern U.S. industrialists insist that slavery end? Beckert’s answer isn’t all that persuasive: He says that “forward-looking” capitalists saw that they could get cheaper, more reliable sources of cotton from emerging growers in places like India, Egypt, and Brazil—and that with the profits industrialists accrued from their cotton businesses, they could reinvest in heavy industry (railroads, iron works) and create new avenues of wealth. But that hardly explains why so many British capitalists continued to support the Confederacy, distancing themselves only when it became clear they would lose. Nor does it make sense in light of how difficult it had been, up until the Civil War, to penetrate other global cotton-growing regions. 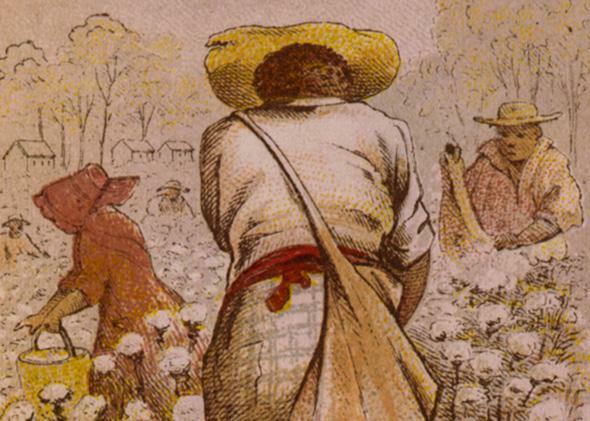 More troublingly, Beckert evades a core problem that historians of slavery have cut their teeth on for decades: Why did the British government, at precisely the moment cotton was fueling its Industrial Revolution, back the anti-slavery movement? Between 1787 and 1833, the year Britain abolished slavery in its Caribbean colonies, no state became more involved in the anti-slavery crusade than Britain. Scholars are still divided over this question. Beckert doesn’t even ask it. Beckert does deftly show how the Civil War became “a turning point for the history of capitalism.” The momentary collapse of cotton imports from the U.S. during the Civil War led Britain to turn its attention toward the Middle and Far East for new sources of cotton. In short, capitalism came to places like India and Egypt because of the Civil War. Though Great Britain colonized India in 1853, it was only during the Civil War that Britain took India seriously as a source of national wealth. The British colonial government carved up the land into taxable plots that essentially forced Indians to grow the only commodity with any financial worth: cotton. In no time, India’s countryside was sucked into a global cotton economy, with devastating consequences for India’s population. Indians suffered repeated famines when the price of cotton plummeted on global exchange markets. As many as 10 million Indian cotton farmers died from famines in the 1870s, and another 19 million in the 1890s. The colonial system that Britain perfected in India—all in the name of cotton and capitalism—other non-European states would soon emulate. By the end of the 19th century, Japan colonized Korea and parts of China, turning them into their own raw cotton providers. The Ottomans did the same in parts of the Middle East. But the rise of these new cotton powerhouses would steadily weaken Britain’s own cotton industry. It was not only the competition, Beckert argues, but the growing power of the working class within Britain and Europe that undid Europe’s cotton capitalists. By the early 20th century, the European states became increasingly receptive to labor reform; once cotton capitalists’ ally, the state turned into its enemy. By the end of World War I, cotton’s importance to Europe’s economy dwindled significantly. But cotton would play a central role in the birth of emerging non-European states. In colonial India, cotton became both the symbol of colonial exploitation and the hope for its postcolonial future. The small elite of native-born cotton capitalists that emerged under British rule had, by the 1930s, united with cotton growers to overthrow imperial rule. Gaining control of their cotton industry became their unifying objective. To this day, the cotton wheel remains the emblem on India’s state flag. Beckert’s point is that, even into the 20th century, capitalism and the state were mutually constitutive. Nationalizing the cotton industry could even mask the conflicts that capitalism produced between rich and poor, capitalist and worker. Even Gandhi could find common cause with India’s rapacious cotton industrialists, spinning a cotton wheel in public as a show of national solidarity. Today, most of our cotton continues to be grown in India, as well as in Uzbekistan, Senegal, Pakistan, China, and other developing countries. China has become the manufacturing juggernaut, turning all that raw cotton into the T-shirts, shorts, and jeans you may be wearing as you read this. Beckert, perhaps forgivably, spends little time exploring how this happened—there’s only so much you can devote to that past 40 years, when this new trend emerged, in a book that covers half a millennium. Yet he still finds the state, even Communist China, as doing more or less exactly what Europe and the U.S. did in the 19th century. In the name of national wealth, China has colonized vast new regions and exploited millions of laborers—only with more ruthless efficiency. If there’s a role the West still plays in the cotton story, it’s in the power of new corporations like Gap, Adidas, and Walmart, which sell finished cotton goods to consumers around the globe. What’s different now is that these corporations have been, as Beckert puts it, “emancipated from the state.” They are far less reliant on their home countries, dealing directly with the developing nations that produce our cotton goods. Some will likely argue that Beckert romanticizes preindustrial societies; others that, for all his sympathy for the enslaved and workers, he gives them far too little ability to accommodate the system to their own advantages. But the history of the downtrodden has been told, even if it remains incomplete. We need new histories that explain how the system that came to oppress them—in a word, capitalism— emerged in the first place, with all the inequalities, wealth, and violence that it produced. Beckert’s version will not be the final word in this new history of capitalism, but it is an exceptional start. Empire of Cotton: A Global History, by Sven Beckert. Knopf.